Kenyans Dominate Afroman Race | JustRunLah! TEAM KENYA dominated the second leg of the RunRio Trilogy 2017 held last Sunday (August 13) at ended at the the SM Mall of Asia grounds in Pasay City. 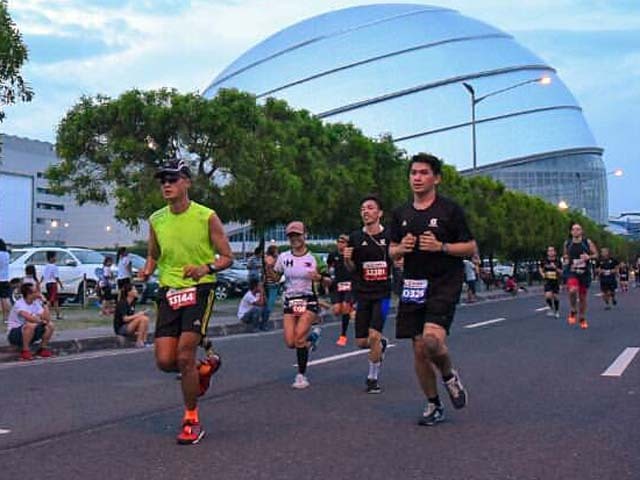 It was quite fitting for the East African visitors to win in the 32-kilometer race that started at Okada Manila and dubbed as the Afroman Race in recognition of race organizer Coach Rio de la Cruz. The Kenyans swept the gold, silver and bronze through the photo finish of eventual champion Alex Melly who timed 1:50:12, two seconds faster than countryman Eric Chepsiror (1:50:14). Jackson Chirchir was a far third place at 2:03:12. It was also Melly and Chirchir that battled it out for the first leg’s crown last June 25 wherein Melly prevailed over 21 kilometers. As foreigners, they are disqualified from winning the Trilogy’s overall championship that will determine the official Philippine male and female representatives to the Chicago Marathon. In the distaff side, Ailene Tolentino of the Philippine Army surprised first leg champion Cristabel Martes in another tight race – Tolentino checked in at 2:21:00 compared to the 2:21:27 of Martes. Another Kenyan, Susan Jemutai, grabbed third place in 2:26:43. Despite the loss, Martes solidified her lead in the Trilogy. It also helped a lot that her first leg closest pursuer Lany Cardona opted instead to enter and bag the championship in the five-kilometer category. To qualify for the overall championship, one must run the longest distance offered in each of the three legs. All runners that complete the Trilogy will be invited to a special awarding ceremony. Kenyans continued their winning streak into the 21-kilometer Half-Marathon behind Dominic Lagat in 1:13:11. Lagat left behind his chasers Michael John Icao (1:22:27) and Marc Alfred Reyes (1:22:51). Veteran runner Luisa Raterta triumphed in the Women’s Division in 1:35:49. She was followed by Katelyn Kearney of the United States (1:46:55) and Bernadette Tan (1:47:54). Other winners were Cindy Lorenzo of Team Soleus and Isidro Perpetua in 10 kilometers and Rowel Galvero in five kilometers. All the podium finishers received trophies and gift items from sponsors. 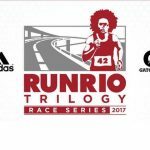 The third and final leg of the RunRio Trilogy 2017 will be held on October 1, 2017. 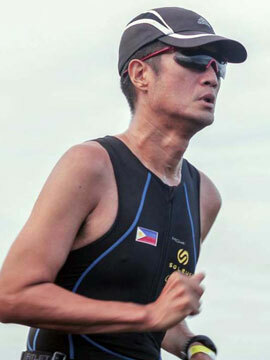 The runners’ ultimate physical and mental resolve will now be tested in the 42.195-kilometer Philippine Marathon.